Around this time of year, Other Half begins his annual GloveGathering campaign. 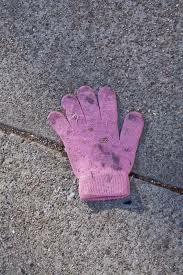 Each stray glove he spots lying in the frigid New York streets he takes home and collects in a bag which he will then transport chock-full to Goodwill in the Spring. The annual GloveGiving. What patience he has, I often think, although he is a Virgo. Donating makes him feel good; he also believes that if you have not worn a garment in the past three years, it is your duty to let it go. In a London boutique that closed years ago, I had to respond, unhelpfully. My designer friend has just been on the phone to tell me about his new coat designing gig. Before hanging up, he asked to borrow my Burberry sculpted jacket from some seasons ago; the one with side panels that act as sleeves and interesting belt feature. He would like to use it as inspiration. I get rid of nothing, you see. 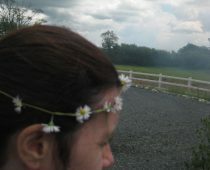 I have been chastised about the pointlessness of holding onto things. Not only by Other Half. Oh no. Most people consider the donation of garments a noble and worthwhile gesture. Donate or hoard, there seems no in-between. What about sentimental attachment? No. It is zen to live clutter-free; those less fortunate benefit from our cast-offs. However recent discussion calls this thinking into question. One third of all our donations go to sub-Saharan Africa where, according to a recently published paper, they are hijacked by profiteers who bundle them into bales to sell in what has now become a lucrative industry. These merchants operate “bend down boutiques” so named for the abundance of merchandise that is heaved onto the ground for customers to stoop and browse through it. 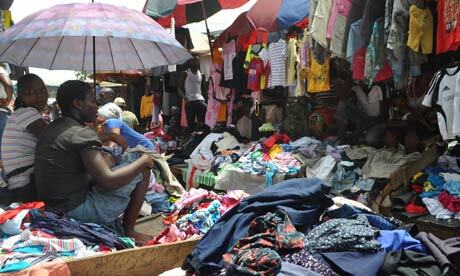 Furthermore the inpouring of our seasonal discards and regret buys combined with the arrival of cheap Chinese goods cuts off at the knees Africa’s own fragile textile and manufacture industry which, at one time, was thriving. It is still cheaper for a Nigerian woman to wear a I Heart New York T-shirt than to support local economy by wearing traditional textiles made in her village. 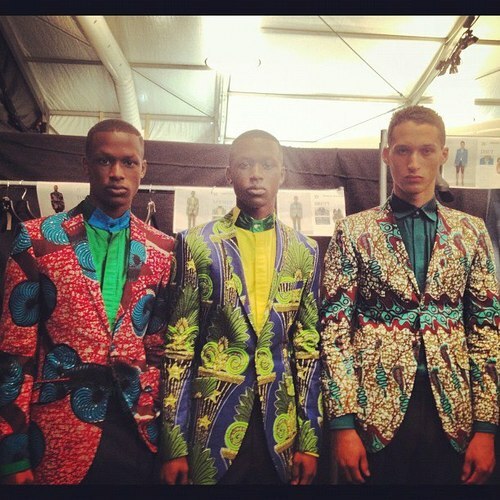 Which is ironic because African fabrics are currently so ubiquitous on the catwalks of our privileged fashion capitals. The brightly coloured clothes recycling bins we see outside shopping centers in our major towns are not alleviating the problem. They just help it move location, get it out from under our noses. We consume too much and something, not just us, has got to give. 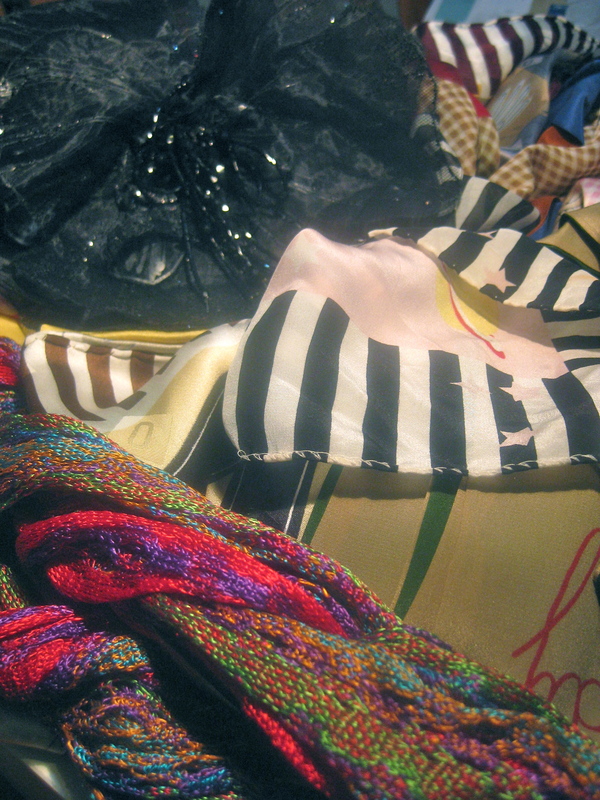 Besides its recycling efforts, the UK reportedly annually dumps 1.4 million tons of used clothes into landfills. Meanwhile major fashion houses hire archivists to organize, catalogue and preserve their vintage samples. Ralph Lauren does it; Tom Ford too; Yves Saint Laurent was one of the first. Some are slower on the uptake: a major company I worked for had accumulated an impressive collection of its historically significant pieces together with valuable vintage which was stored haphazardly in a warehouse on the outskirts of town. Rifling through the rails of gorgeous items initially elicited the appropriate oohs and aahs, which quickly turned to Eeeeooooowwws as separating the layers revealed the maggots and larvae clinging to the beautiful fibres. Now, that’s waste. So consider me neither hoarder nor giver. Call me an archivist. My clothes are part of my body of work as a designer. They helped carve out my identity over the years in an industry where your appearance automatically becomes part of your brand, what you’re selling often irrevocably entangled with what you’ve bought. Wrenching a loaded hanger from the tightly packed racks in my closet moves me to remember my exact geographical, emotional and professional status at the time of purchase. And, hello, I think much of my closet is still bloody amazing. To be worn immediately, if not sooner. I don’t buy a lot of clothes but what I buy, I buy with meaning. I do not find myself eagerly anticipating the Gap sale. That’s not where I find my meaning. Edun collaborated with shoe designer Matt Bernson to find use for their remaining Spring/Summer 2013 fabric which had been woven in Kenyan workshops. 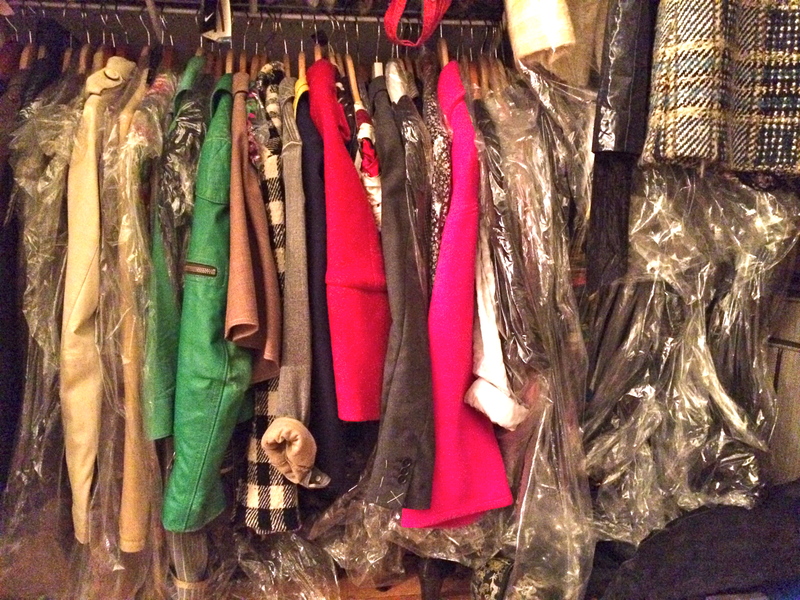 Other Half and I will move apartment soon and by NYC standards my requirements for closet space are deemed optimistic. The word storage has been bandied about. The threat of putting my things in storage versus the probability of finding an apartment with adequate storage. Oh, my giddy aunt, the impersonal, uniform, industrial sound of it all! Storage. Can we agree to archive the discussion until further notice? My first novel, set in the international fashion industry is available now. You can buy Silk for the Feed Dogs here. I agree with you entirely. We consume in a stupendous amount nowadays. However, the effect the clothing once possessed seems to be watered down by mass-production. And I find it rather sad. You really touched a sore spot with me. I’ve been criticized lately because my closet is full. Well! 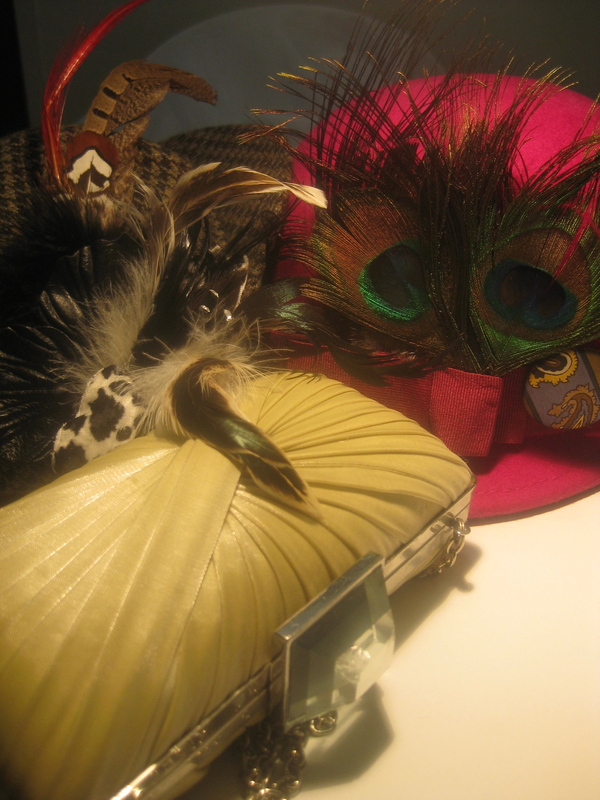 I have beautiful clothes, many of them vintage found painstakingly at thrift stores and garage sales. I don’t have to stand in front of my closet wondering what to wear. I know exactly what I want to wear because I already have it. My weakness are vintage handbags and hats. SO hard to store properly but so able to make an outfit special. I, too, am challenged to find room for my latest additions but I would never consider donating them. I contribute to the global ecology by not buying very many new things. I don’t have to. They’re all out there, donated and priced and ready to go. We are sisters in vintage, Laura. I agree with you wholeheartedly. I think we must continue to stand strong against the loyal subjects of Fast Fashion. 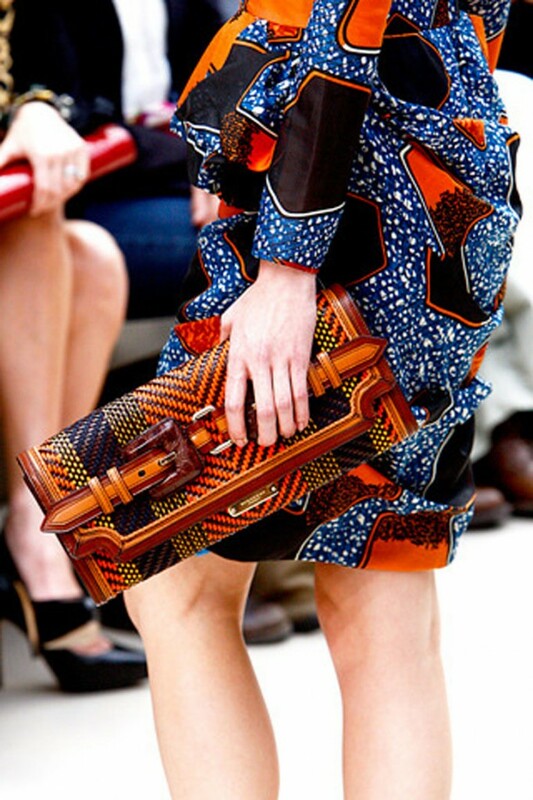 I think ours are the voices of reason….Love vintage bags too.